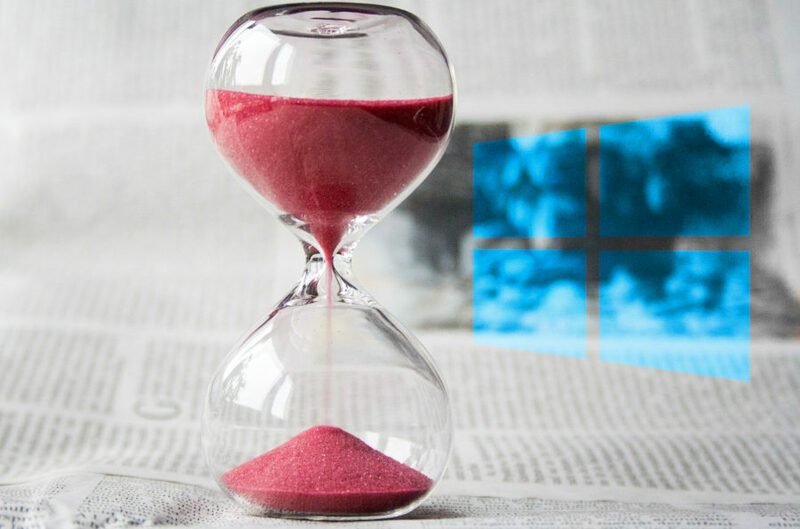 Ever wonder how long your Windows 10 system has been up? There are at least 4 ways to check the system uptime in Windows 10. Figuring out how long a Windows 10 machine has been up is crucial enough in some ways. Especially if you are a system administrator who is responsible of ensuring everything runs the way it supposed to be. You need to know how long a Windows 10 machine has been running when troubleshooting a problem. The easiest way to check the system uptime in Windows 10 is via Task Manager. But, you can also do so via Command Prompt, PowerShell and even Control Panel. Here are 4 ways you can use to check the system uptime in Windows 10. As mentioned, the easiest way to check the system uptime in Windows 10 is via Task Manager. First and foremost, open Task Manager by right-clicking an empty space on the taskbar and select Task Manager. 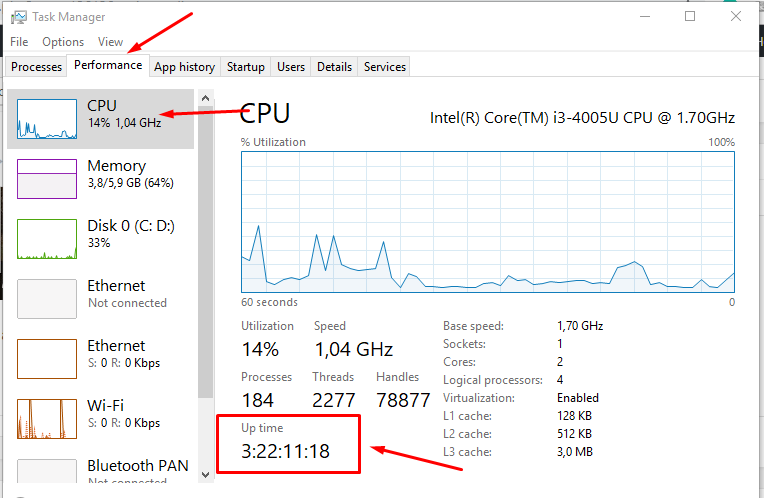 On the Task Manager window, click the Performance tab and select the CPU section. You can see the uptime at the bottom of the page. 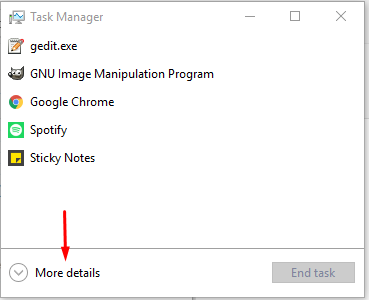 Click the More details option if you are using the compact view of Task Manager. 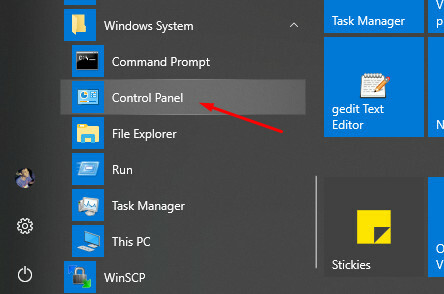 If you are working with Control Panel in Windows 10, you can also check the system uptime from there without having to switch to another window. To check the system uptime via Control Panel, first open Control Panel by clicking the start menu and select Windows System -> Control Panel. On the Control Panel window, click the Network and Internet. Next, click the Network and Sharing Center option. Next, click the Change adapter settings option in the left panel. Double-click the network adapter connected to the internet and a pop-up will appear. 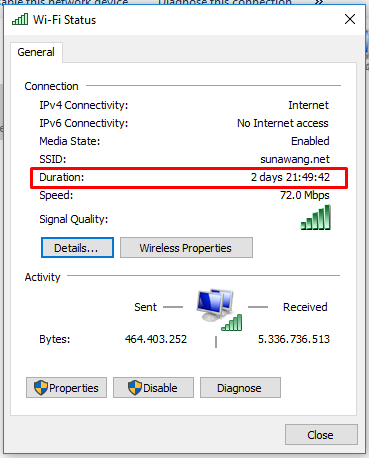 You can see the uptime duration of your Windows 10 system on the Duration section. Please note that this method only applies if you didn’t reset the network connection since the last time you booted the device. There are two commands to check the system uptime of Windows 10 via Command Prompt: wmic and systeminfo. 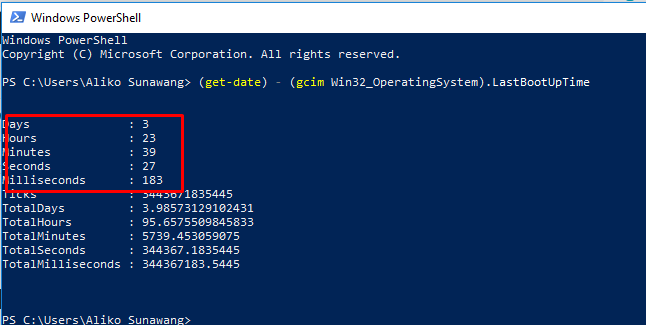 To check the system uptime in Windows 10 via Command Prompt using wmic, first launch Command Prompt by clicking the start menu and select Windows System -> Command Prompt. 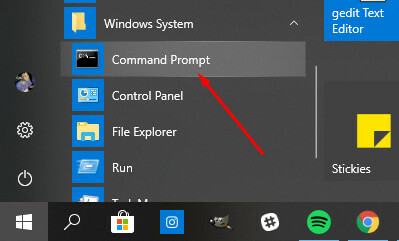 Type the following command on Command Prompt and hit enter. Well, the output is a bit complex. But, there here is explanation. For instance if the output is 20190109183035.500000+420. You can break it down as follows. This means that your Windows 10 has been running since January 9, 2019, at 18:30. The output generated by sysinfo is more understandable than wmic. To check the system uptime via Command Prompt using sysinfo, simply open Command Prompt and type the following command and hit enter. Following is the example of the output. You can also use PowerShell to check the system uptime in Windows 10. 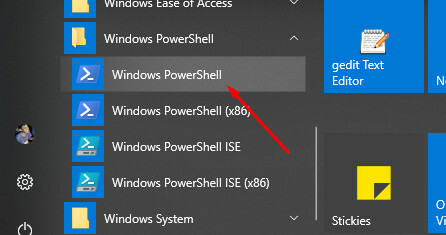 To do so, run the PowerShell by clicking the start menu and select Windows PowerShell -> Windows PowerShell. The the following command and hit enter. And here is the example of the output generated by the command above. Easy enough to understand than wmic. There are probably several other ways to check the system uptime in Windows 10. But in general, those 4 steps are the most common methods. While all of the demonstrations on this article were performed using Windows 10, they also work on Windows 7 and Windows 8.